My latest is now available for purchase in paperback or as an e-book. 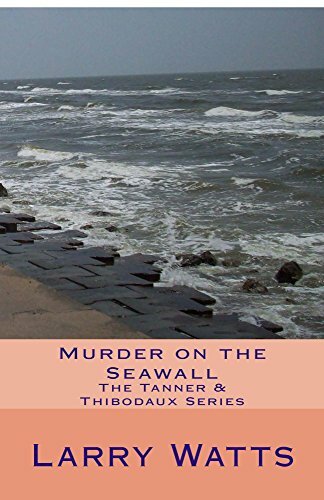 Murder on the Seawall is the third in the Tanner & Thibodaux Series. The first in the series is Homicide in Black & White. The latest, Murder on the Seawall, takes place in Galveston, Texas. Tanner and Thibodaux solve the mysterious murder of a wealthy businessman whose mother insists on bringing the killer to account. Molly B is a character in her own right, having grown up in the bordellos of Galveston Island and married a young gambler who ran a numbers racket for the mob. Both turned their entrepreneurial spirit toward creating a successful and legitimate business and becoming very wealthy in the process. Come with the two detectives as they explore the local culture on the Island while searching for clues to who murdered Molly B’s son. If you would like the paperback version of Murder on the Seawall, it is available at the following link, as well as all the on-line bookstores you usually shop.